Local voluntary community organisation run by women. Actively work at present with Newham council, however we are based in Tower Hamlets and would like to be more involved. In Newham our Russian Souvenir Ensemble and the Sunshine Choir participated in numerous community festivals and events. We sing traditional songs in Russian, Ukrainian and also sing in English. 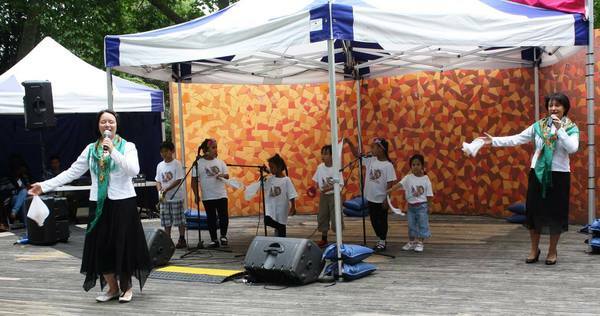 Our most recent event in Tower Hamlets: Summer Festival at the Museum of Childhood. We also teach art& craft and vocal to children and adults, and currently run the Art School project at the Forest Lane Park Lodge, Newham every Sunday.